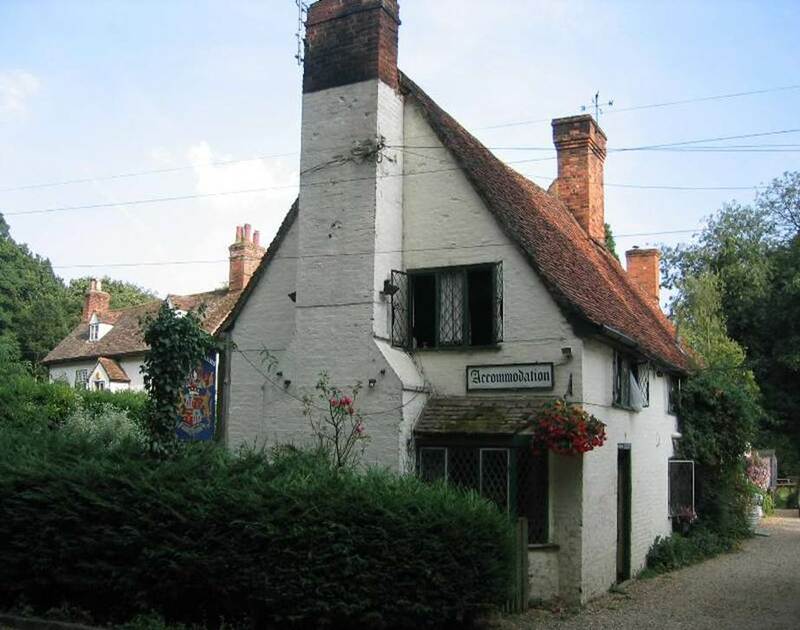 When Shaw’s death in 1950 led to “Shaw’s Corner” in Ayot St. Lawrence, Hertfordshire (a small village near St. Albans just north of London), going to the National Trust, the question was what use could be made of this country retreat? The house was not all that impressive in its architecture and atmosphere, it was in a somewhat difficult-to-reach part of England, and this came at a time when England was still in recovery mode after WWII. Add to this that key members of the NT Board, such as Harold Nicolson, were not convinced Shaw would last and so questioned taking on this property. The fullest account of what happened in the early years of the NT’s managing of this property is perhaps to be found in Volume 4 of Michael Holroyd’s biography of Shaw, The Last Laugh, and an often laughable story it is of how things did not turn out as expected, beginning with the disappointment of F. E. Loewenstein, Shaw’s bibliographer and founder of the Shaw Society in 1941, that he was not given the house to live in and conduct as a shrine to The Great Man. Frustrating Loewenstein, the NT appointed Shaw’s housekeeper, Alice Laden, as the first “custodian,” but Shaw’s ghost so spooked her she didn’t last long. Matters had been made worse by Shaw’s offer to provide an endowment being dismissed as unnecessary by some NT official (according to some in the Shaw Society who at the time attested in the Shaw Bulletin of Dec. 1952 to what cannot be found in Shaw’s will), and then Shaw’s dispersing of his wealth to so many worthy causes (mostly unquestioned except for “alfabet reform”) that there was little left over for the property’s upkeep except saleable artifacts. And so to pay the bills the NT, rather neglecting the museum potential of the place after the initial enthusiasm for visiting it wore off and Loewenstein had given up his claim to it, for many years let out the house and/or garden for private use (Shaw had suggested as much in his will) but apparently mostly to people who were given a break on the rent if they opened part of the downstairs to paying visitors for a few hours a week for the viewing of Shavian artifacts (the first professional, salaried house manager not being in place until 1997). It seems that many of the Shaws’ furnishings and other effects, especially from the upstairs where the custodians mostly lived, had been put in storage early on, and several decades passed before the NT seriously pursued the idea of making money on the property as a dedicated Shaw museum and theatre (and eventually it did make money in the 21st C., but profits in the 20th C. apparently occurred only in the first few years after Shaw’s death and then went into the general regional fund). The NT did not officially promote the birthday tributes at first, some of the early “custodians” finding them rather annoying, in fact, and the village was actually in an uproar over how visitors were ruining their idyllic countryside. So it was only the dedication and perseverance of the Shaw Society in its making of annual pilgrimages from London, beginning in 1952, to celebrate Shaw’s birthday with readings from Shaw’s works (with Eric Batson, the Society’s secretary, initially leading the trek and doing the readings), that eventually persuaded the NT to promote and market the event. This occurred as well because, roughly concurrent with the development of the museum (although it’s not called a museum) and the return of some of the stored items, the readings evolved, in the 60s, 70s, and 80s, into productions of entire plays, and the Shaws’ large, attractive backyard became, on special occasions, an open air theatre. 1961 is the date given in The Shavian as when they began to speak of a “Shaw Festival” occurring there (but 1960 may be the correct date, as the Appendix suggests), and rather small, exclusive parties, sometimes tented, were gradually replaced by larger audiences gathering in the open. At some point a logical connection was made between the doing of Shaw’s plays outdoors and the audience’s enjoying a bring-your-own, pre-play picnic on this wonderful sward of green, even though that meant expenditure for a car park, porta-potties, etc. The many National Trust house managers and volunteers who have presided over this weekend event, disregarding of the ghost of teetotaler Shaw, have made a point of also providing a large receptacle for the numerous wine and beer bottles the picnicking audience unloads at the end of each production! To which my wife and I generously contributed when visiting in 2006, on the occasion of Shaw’s 150th birthday, a visit that inspired this article. With the eventual cooperation of the NT (which varied from custodian to custodian) and the initiative of the Shaw Society of England, then, a number of producers, directors, theatre managers, and actors, many of whom have been members if not officers of the Society, have over the years provided a throng of summer picnickers on the Shaws’ lawn with suitable and often delightful productions, mostly by or about Shaw, although occasionally a play by one of Shaw’s contemporaries or an English classic found its way in, and often this has been preceded by entertaining talks or readings. This has been successful enough that almost 60 years later they’re still doing it, typically these days with productions in mid-June and late July (the latter on or near Shaw’s birthday, July 26), in what constitutes the only Shaw Festival in the U.K and Ireland since the closing of the original Malvern Festival. Shaw’s plays were generally thought strictly for indoors on proscenium arch stages until the productions at “Shaw’s Corner” began, but now it’s clear that they play well in the outdoors as well, with some costuming but otherwise minimal staging. There have been many variations in where the stage is placed in relation to the audience, but in the most frequent use of this open air theatre (as in the photo at the top), the stage’s “back wall” is the back of Shaw’s house, “the wall at stage right” being Shaw’s orchard and garden (with a car park beyond), “the wall at stage left” being the hedge by the road into Ayot, and “the stage” being the narrow gravel walkway along the back of the house. In this setup, Shaw’s house looms over the actors like the scena did in the ancient Greek theatre, acting as a sound projector, but with as few places for entrances and exits. in Charlotte’s sitting room through the door on the right. Also echoing of Greek theatre was the return, for the June play in 1993-95, to the early reversing of the audience and stage relationship so that an enlarged “stage” was on the sloping lawn below, with trees and shrubbery behind, and the audience was seated in roughly an amphitheatre arrangement from the house on down the slope. The view of the English countryside from there is spectacular, another thing that evokes Greek theatres, which seldom spared the scenery. But when the audiences started getting larger, it was necessary to move back to the stage at the back of the house, which had better sound projection anyway. Another experiment in June of 1996, putting the “stage” at the back of the house but in front of the gravel walkway in a large rectangle didn’t work all that well either, as it put the actors on roughly the same level as the audience. So in 1997 the June play went back up to the gravel walkway, and there it has remained, except for one other experiment that the devil made them do. Apparently echoing an earlier experiment with the same play, one small variation that looked good and played well but that upset some of the audience occurred when, for a birthday play, the stage was moved, for just one scene, to around the large cedar tree stage left of the house (planted years before by the Shaw Society), so that the serpent in Back to Methuselah would have a real tree from which to whisper in Eve’s ear. As this involved the audience having to move around, causing front-row sitters to lose their privileged view, there were naturally complaints that give pause to anyone contemplating this devilish deviation again. In the first configuration, with the audience facing the house, I can testify that the acoustics are surprisingly good, better than some West End theatres, but perhaps the actors go out of their way here to make themselves heard and perhaps there was less wind on our visit to blow the actors’ words around. As for the minimalist staging, it’s reported that audiences find sufficient staging cues embedded in the dialogue so that, for example, when Raina’s bedroom candle repeatedly blows out in Arms and the Man, audiences relish imagining it from the spoken cues. Shaw’s words seem to provide theatre enough. One hazard of any open air theatre, of course, is unpredictable weather, and this theatre has endured its share, although generally blessed with decent weather, according to The Shavian. There are reports of the actors and the audience almost disappearing from each other’s view due to pouring rain, of actresses’ Victorian/Edwardian dresses subjected to “rising damp” from the ground up, and of actors sliding down into picnics. One production of The Philanderer had to be canceled, to the consternation of a typically doughty British audience well used to rains on their parades, because expensive furniture on that walkway stage was threatened with drenching. An argument for dispensing with expensive furniture altogether! With open air production also comes all the activity of animal nature, with, on one occasion, a partridge nesting at the bottom of a house wall creeper attacking the lovely hats of the women of Heartbreak House, with Socks the neighborhood cat strolling through scenes at will but solving the partridge problem with full-scale attacks, and with necessary, recorded sound effects such as the explosions in Too True To Be Good causing startled birds to go screeching over the twice-startled audience. The audiences reportedly love all but the soaking, and, too, they can usually be counted on for appropriate responses to timely dialogue, as when in the 2008 Millionairess, in the midst of a global financial crisis, lines like “oh don’t put your money in a bank” brought great rounds of deeply felt applause. Such “interactive art,” as we now term it, seems to more than make up for the occasional rainy day. However, while the audience may love most of these happenstances, it’s said that the locals are somewhat less in love with this theatre in general and its noisier happenstances in particular. The automobile traffic on play day alone, on these narrow country roads, is enough to rile this very quiet but upscale neighborhood, with its Tudored homes and pricey cottages, and the Horseback Hall contingent is probably not too happy with the content of the plays as well. But reportedly efforts are being made to engage the locals more and get them to be more supportive. We’ll hope for that. When Ellen Pollock (left), a great comic actress who had been directed by Shaw in the 30s and was famous for her playing of Eliza Doolittle during WWII, not to mention her many Shaw productions and long list of films and plays by other authors to her credit as well, became the president of the Society in 1958 upon the death of Esmé Percy, she as an acting teacher often had students from her London school complementing professional actors, including herself. And sometimes she would “dine alone,” so to speak. Ellen’s most favored bit was the tea party scene from Pygmalion in which she played, hilariously it’s said, all the parts. And so this theatre began, more impromptu and volunteer than not at first but leaning towards fuller and more professional productions of the plays. There seems to have been a brief discontinuance of the birthday tributes in 1974-5, but they resumed thereafter with Ellen Pollock still doing readings and others engaged as well, with mentionings in The Shavian of Robert Henderson of “Studio 68 of Theatre Arts” directing some of the plays from 1971 until about 1985, and then Charles Duff from the London Theatre School doing some productions. Unfortunately, there are not many alive today who remember these productions, and not all that much was said about them in The Shavian, and so we move on. But, after ten years, there were some frustrations that Richard and Toni found insuperable, which eventually led to “Ayot Productions” giving up the birthday play after 2003 when a dispute with the National Trust could not be resolved. Both sides in this dispute can make a good case. For a few examples of matters disputed, Ayot Productions understandably wanted to have conditions more conducive to theatrical production, such as from adding a temporary thrust stage to enhance the depth of the stage, but of course, while granting the point, the NT, doubtless under budget constraints, saw the expense as cutting in to profits necessary to the maintenance of the estate, profits that have never been more than marginal even in years when there were profits (the NT, by the way, is a private charity, independent of the government, and so can’t count on subsidies). Or when it was proposed that tours at other Trust houses be booked so that actors could be employed for longer runs, it again was granted that this was desirable, but the fear was that audiences at houses having nothing to do with Shaw would be so small that a loss would be incurred. And so one can go endlessly back and forth, making valid points on both sides of the argument, the theatre artisans arguing that short-term investment in improvements would lead to long-term gains, the NT pointing out that the Shaw house does not operate in a vacuum, its being part of a larger consortium of houses that the National Trust regional office has to factor in to annual budget balancing. In short, this is an ancient dispute in all theatre management, not resolvable here, and what matters for this account is that at least by now professional companies were being booked for this theatre, and production standards were raised. By the 90s this theatre is looking more like a real theatre, with much of the credit going to Ayot Productions--that is, insofar as an open air theatre can be considered “a real theatre” in an age dominated by the indoor theatre. But the Greeks would understand. Eventually Michael Friend, next in line to produce the birthday plays, found an answer to the problem of extending the run, but first we need to step back in time to review some developments that led to “Michael Friend Productions” taking over the birthday play in 2004. 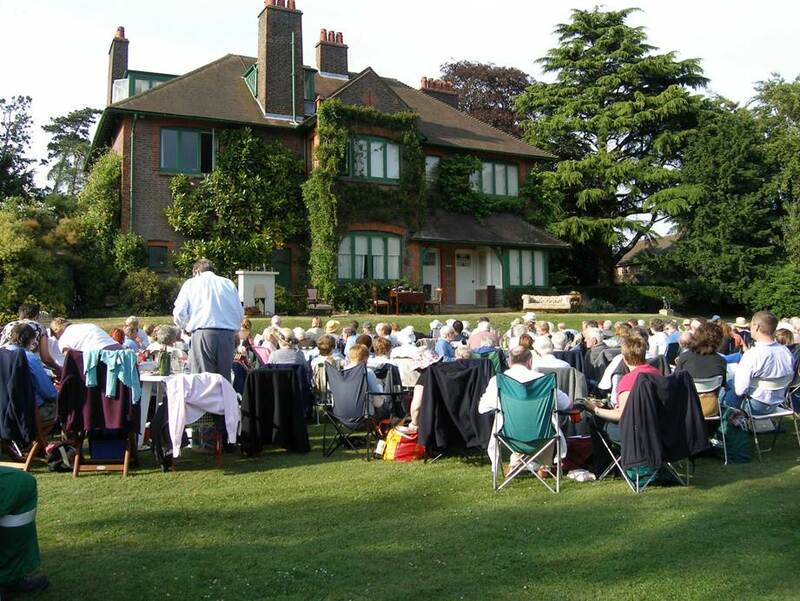 A major change in the use of the open air theatre occurred in 1991 when the Ayot theatre season was expanded into June. At the request of the NT, in mid-June of that year Malcolm Wroe produced two one-man shows, both written by Neil Titley, one about Shaw called “Shaw’s Corner” that Malcolm acted and another on Oscar Wilde that Neil Titley acted. In the following June Malcolm, despite being hospitalized, produced Richard Huggett’s The First Night of Pygmalion. 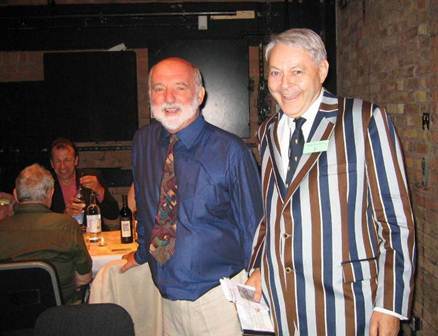 Malcolm Wroe (in the stripes) with Alan Knight at the RADA celebration of Shaw’s 150th Birthday. Due to illness Malcolm then asked Michael Friend to present something there in June of 1993. 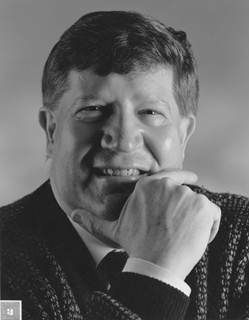 Besides having worked with Michael in the mid-70s on the long-running South African musical "Ipi Tombi," Malcolm knew Michael as someone who had some Shavian background, such as in being Company Manager for the Royal Shakespeare Company in its 1977 attempt to revive the Malvern Festival with Man and Superman. In that 1993 debut in the June slot at “Shaw’s Corner,” although asked to present something about Shaw such as Dear Liar, Michael found himself having to shift grounds at the last minute when rights for that play were suddenly withdrawn, and he hurriedly prepared the “Don Juan in Hell” scene from Man and Superman instead. Malcolm recovered from his illness for the June production in 1994, playing in Too True to be Good, including on a trip to Prague where “Michael Friend Productions” gave the Czech premiere of the play. In 1995 Malcolm became seriously ill, had to give up acting, and stopped being associated directly with the shows. Happily, he is doing quite well these days, and above is suitably attired as Master of Ceremonies for the 2006 RADA birthday dinner in Shaw’s honor. From 1993 on to the present, then, “Michael Friend Productions” presented a mid-June play, which became known as “The Summer Play,” while “Ayot Productions” presented “The Birthday Play” in late July for The Shaw Society. 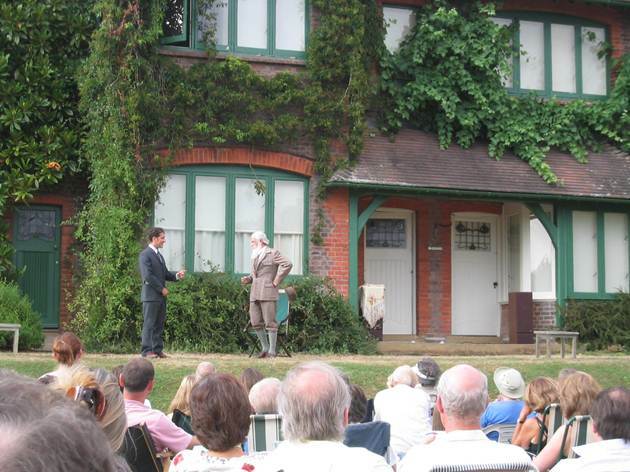 When, in 2004, Ayot Productions decided not to continue with the July play, the consequence of disputes with the National Trust noted above, Michael Friend was asked by the NT to do both the June and the July play. Previously, in 1998-99, he had been asked to produce what was called “The Middle Play” in late June or early July, so he was prepared to do a second play. One major new development that came with Michael Friend’s taking over was some success at extending the run of the play through the touring of the plays in regional theatres likely to be more receptive to Shaw than other Trust houses, which made this more of a paying proposition for both actors and producer/director. of Robert Shearman’s Shaw Cornered, starring Hayward Morse as Shaw. From 1993 on, then, it has been “Michael Friend Productions” that has provided at least one, if not both, of the two plays at “Shaw’s Corner,” with touring productions at other times and other venues as well, and the story of this, combined with that of its antecedents, is so illustrative of one significant dimension of Shaw’s presence in the modern world that it deserves to be better known and preserved as both a record of the times and as an element in the history of the theatre. 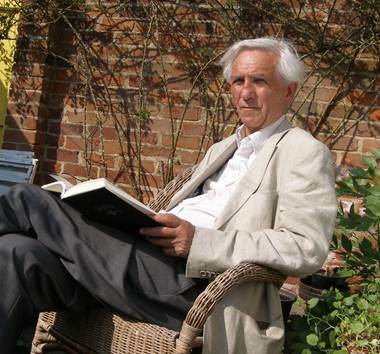 And its central figure in its most recent manifestation, Michael Friend, deserves acknowledgment for his considerable accomplishment, although, as he acknowledges, he is standing on the shoulders of precursors. This is not the easiest theatre to produce plays in, but just as Digby Day’s experience as director of the Open Air Theatre in Regent’s Park came in handy when doing the Ayot productions, so too Michael’s past has well schooled him for this unique challenge. As he is in many ways typical of the theatrical warhorses who have ventured into this unlikely theatre and made it friendly and welcoming to its audiences, I think concluding with the story of his career as he built towards this is instructive. No doubt an account of the careers of other producers who preceded him would also be instructive, but he’s the one who’s doing this now and most likely to do so for the immediate future. So here’s the interesting path Michael Friend took to qualify for the Ayot theatre. This is what it takes! It seems the demons that lead one to a life in the theatre are often either inherited or are a desperate device to escape an inheritance (of staid and boring middle class propriety?). A mix may have been the case with Michael Friend, as he descended from a grandfather and father who spiced up otherwise conventional lives by participating in amateur productions known as “Drawing Room Entertainments” in Hackney and Birmingham, and, in the case of his father, taking a part in a comedy show called “The Whizzbangs” which gave the troops a welcome respite from trench warfare in World War I. Additional color is added to this tradition with the old family story that upon returning home from a theatrical performance one night, grandfather Richard Friend was stopped by the police who were searching for Jack the Ripper, known to carry a bag similar to the leather Gladstone bag containing make-up carried by the amateur actor, in perhaps his most thrilling performance! Michael was born in Hull, East Yorkshire, in 1934, and when his father died before Michael was ten, he and his mother moved around until settling in Bournemouth on the South Coast. He takes it as fateful that his first role in a school play was as Scrooge in A Christmas Carol, “excellent training for a future theatrical manager,” he says. But there was a long, crazy road on the way to that, first through art school, acting school at RADA, and a job as Stage Manager in one of that now lost breed of weekly reps that turned out play after play, of all kinds (including Shaw), all with six days rehearsal, with Michael serving as carpenter, electrician, and lighting designer as well, while filling in with small parts, the best theatre school of all perhaps. Then came a fascinating year at the Royal Court Theatre in London during the second season of the English Stage Company, famous for classic productions of Look Back in Anger and The Chairs that year and of course famous too for the formative Granville Barker years when Shaw’s plays were its bellwether. This was followed by a year of weekly rep at the Guildford Theatre and then jobs as Stage Manager and Company Manager at a number of regional theatres, such as the Liverpool Playhouse and Bristol Old Vic, where he experienced the luxury of two and half weeks for rehearsal. And perhaps set up the current touring of Ayot Shaw plays. 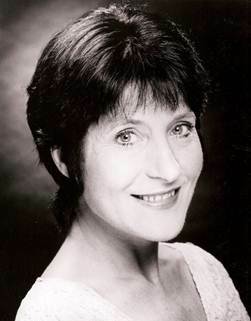 Along the way Michael gradually connected with the intriguing Shaw, from the reading of his father’s collection of Shaw’s plays to listening to radio broadcasts and, from RADA days on, acting in or more likely stage managing the likes of Major Barbara, Heartbreak House, Man and Superman, and a number of others. The big breakthrough at Ayot came just after his establishing Michael Friend Productions, when, as said, in 1993 Malcolm Wroe, who had done “Shaw’s Corner” shows in June of 1991 and 1992, extended through the NT the invitation to Michael that led to the “Don Juan in Hell” production, which launched a series of Michael Friend June productions that has continued for eighteen straight years. In 2004 he was asked to take over the July birthday performance as well when Ayot Productions decided not to continue, and from that time on he has staged at least two summer productions, sometimes both being Shaw plays but at least more Shaw than not over the years. My wife and I were personally privileged to see Michael’s heroic 2006 production of Back to Methuselah, two acts at Ayot and the rest at the Theatre Museum in Covent Garden, London, in which Hayward Morse starred in a variety of roles. The production at Ayot demonstrated what an exciting and apt venue this was for theatre performance, narrow stage, inclement weather, and all. Gamboling youth in the final act of Back to Methuselah. In the Appendix at the end is a list of all the birthday plays done at “Shaw’s Corner” in Ayot St. Lawrence, followed by a list of June plays, done mostly by Michael Friend Productions, and a list of “Middle” plays. One or two of Friend’s productions were performed only at Ayot, but most of them went on tour. 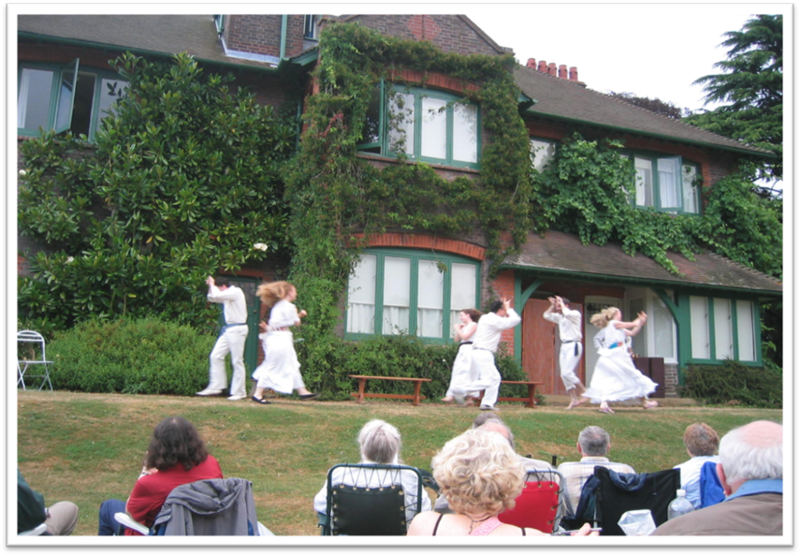 To start with, in 1993 they gave just one performance of a June play at Ayot, which increased to two performances in 1996, and then to three from 1997. In 1998 Michael was invited to do a second play, in early July or late June, called “The Middle Play,” with Ayot Productions doing the birthday play in late July, but after two years the National Trust decided that it was too great a strain on the volunteers to ask them to work three weekends, so he reverted to one play a year - with the exception of the single premier performance of Robert Shearman's Shaw Cornered in 2001 - until he took over the late July slot in 2004 and then did two a year. These lists are quite impressive in their range and scope, and it testifies to not only the Shaw Society’s perseverance and dedication but also the willingness of non-members, by far the majority of the audience, to come for a look at Shaw. From the appreciativeness that we heard all around from the audience, I feel confirmed in my belief that London’s strange neglect of Shaw in its theatres is not soundly based. At any rate, if you’re ever in the area, please don’t miss this amazing and unique theatre, Shaw’s Corner Open Air Theatre. Below, Michael Friend’s “office” while in Ayot St. Lawrence, and doubtless the “office” of many other producers, directors, and actors over the years, is the Brocket Arms, just up the road from “Shaw’s Corner,” whose door Shaw may have darkened occasionally but surely not its beer pulls. Lord Brocket was a friend of Shaw’s and some of their correspondence can be found in Dan H. Laurence’s Collected Letters. We had the front room right over the pub! 1961 Dark Lady of the Sonnets – The Shaw Society journal, The Shavian, dates the beginning of “The Shaw Festival” from this production. 1992 O’Flaherty, V.C. and Overruled. Ayot Productions from here until 2004. Disciple in late June was the only “Birthday Play” not done in July. Michael Friend Productions from here on. 2004 -- The Apple Cart in late May was the only “Summer Play” not done in June..
[i] I was assisted by many people in the researching and writing of this article, chief amongst whom was Evelyn Ellis, who has been both Secretary and Treasurer of the Shaw Society, whose determined reviewing of over sixty years of Shavians brought to light much that was dark. And thanks to Evelyn too for arranging a Skype call with Barbara Smoker, who was there at The Beginning and whose institutional memory is so indispensable she is not allowed to die, I don’t care if she is 89. Thanks to Michael Holroyd for some necessary corrections and historical filling in, and to Kathy Lintin and Paul Williamson, former house managers at “Shaw’s Corner” for their input. 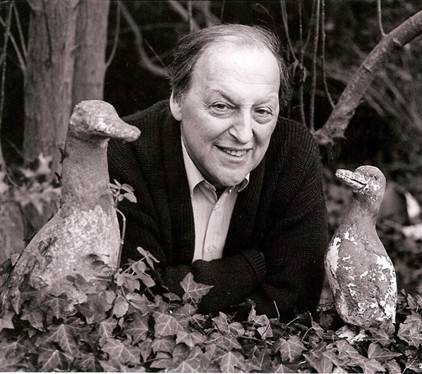 And thanks, finally, to some of the principals in getting plays produced at Ayot in the last couple of decades--Toni Kanal Green, Richard Digby Day, and Michael Friend--who provided much entertainment along with valuable information and photographs. May they all prosper. [ii] Terminology for theatre production was different in England at the start of this period—as, for example, what Americans call “producers” the English called “directors”—but in this article I’ve mostly employed contemporary usage, which is now generally more uniform. [iii] For other websites relevant here, see the Shaw Society’s www.shawsociety.org/uk, which has a page dedicated to a listing of Shaw productions pending, and, for the National Trust page on Shaw’s Corner, go to http://www.nationaltrust.org.uk/shaws-corner/ . As Founding President of the International Shaw Society, I can hardly be expected not to send you to the ISS website as well, at www.shawsociety.orgl.